Welk Resort Theater is home to some of the most popular shows in Branson and many of them feature nationally-recognized performers such as Tony Orlando, BB King, as well as dozens of other talented entertainers. 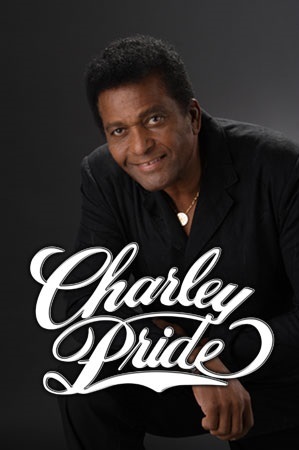 Charley Pride will be performing this year 2017 at the Welk Theater on Friday, September 29 at 7:00 pm. He is one of the most successful African-American country singers to play in Branson. So don’t miss to spend a memorable evening with this amazing country singer as he performs on stage with some of the most recognizable hits in country music history. As a country music legend, Charley Pride is one of the few African-American country musicians to have had a great success in the country music industry reaching the height of his successful music career in the 1970s. In 1967, Charley became the first black singer to appear at the Grand Ole Opry since harmonica-player DeFord Bailey. That same year, he appeared on ABC’s The Lawrence Welk Show. The eight singles of Charley all reached No. 1 on the US Country Hit Parade charts between 1969 and 1971 including “All I Have to Offer You (Is Me),” “(I’m So) Afraid of Losing You Again,” “I Can’t Believe That You’ve Stopped Loving Me,” “I’d Rather Love You,” “Kiss An Angel Good Morning,” and more. The compilation album The Best of Charley Pride has sold over one million copies in 1969 and was awarded Gold. Throughout his career, Charley had 39 No. 1 hits on the Billboard Hot Country Song charts. In mid 1970s, he became the best-selling performer for RCA Records after Elvis Presley. This country singer has a strong fan base in Branson and has enjoyed a remarkable career that’s decades long and peppered with hit songs, awards, nominations, and other accolades. Charley Pride had also made dozens of Top Ten hits, more than 25 songs that topped the country chart, including the song that caught the fire across genres, Kiss An Angel Good Morning. He has made many other hit songs also that include Mountain of Love, I’m Just Me, I Can’t Believe That You’ve Stopped Loving Me, Amazing Love, Honky Tonk Blues, Why Baby Why, and Is Anybody Goin’ to San Antone? Charley’s amazing collection of music that’s sold millions upon millions has made him one of the best selling recording artists of all time for RCA. In addition to the many hit songs that were produced, Charley Pride is certainly blessed with high profile awards and recognition by the music industry and his peers. Charley has received a number of awards that include Living Legend Award from TNN/Music City News, a Trumpet Award for Outstanding African-American Achievement, Male Vocalist of the Year (twice), and Entertainer of the Year from the Country Music Association, as well as three American Music Awards and two Grammy awards. With the amazing voice and unique country music style of Charley Pride, it’s easy to see why his fans have stayed loyal with each passing decade.